Special Olympics of Massachusetts (SOMA) connects young people with disabilities to sports and activities designed to build their skills, confidence, and social connections. The Tower Foundation is a longtime supporter of SOMA’s work on the Cape, Martha’s Vineyard, and Nantucket, and it seemed only natural for the Foundation to support additional efforts in Essex County. SOMA’s Inclusive Essex County initiative aims to increase athletic opportunities for students with disabilities. 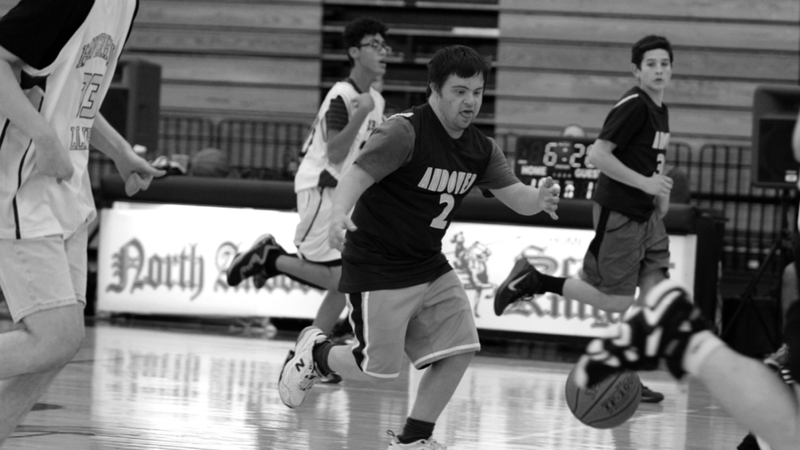 Its major focus is Unified Champion Schools, an inclusive high school basketball program that brings those with intellectual disabilities and those without together on the same team. More than 50 students in six Essex County high schools are participating with hopes of changing the exclusion culture in high schools to one of inclusion. The program brings students together, creating a sense of unity and building social relationships. The three-year, $100,000 grant also funds sports programs through Northeast Arc and a Young Athletes program for children younger than eight years old who are not yet old enough for traditional Special Olympics programs. “Tower is the ignition switch that we needed to expand and showcase new programs directly in local communities,” says Steve Huftalen, Vice President of Corporate Development and Special Events for SOMA, adding that these sports programs can also showcase the year-round work of SOMA that helps with additional fundraising efforts.